VERANDA RESORT PATTAYA ON NA JOMTIEN BEACH WHICH IS CLOSE ENOUGH TO PATTAYA CITY'S BUZZING NEIGHBOURHOODS, YET SECLUDED ENOUGH TO ENSURE A PEACEFUL AND RELAXING STAY WITH FRIENDS, FAMILY OR LOVED ONES.EXCLUSIVE BEACHFRONT LOCATION ENSURES A PERFECT VIEW OVER THE OCEAN AND NEARBY ISLANDS. Ultra trendy designed for today's discerning traveler searching for a retreat to unwind and be inspired. 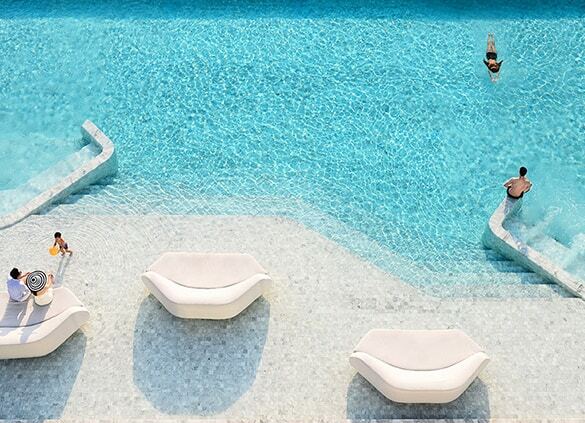 With a total of just 145 rooms and 6 room types from Seascape room to Sky Pool Villa. all designed to offer the perfect hassle free vacation stay. You will also find the resort facilities are second to none with two restaurants and bars, Spa, fitness room, free form infinity pool and function rooms with the latest multi media equipment for meetings and private parties. Veranda team are eager to take care of all your needs to make your Veranda experience a memorable moment. 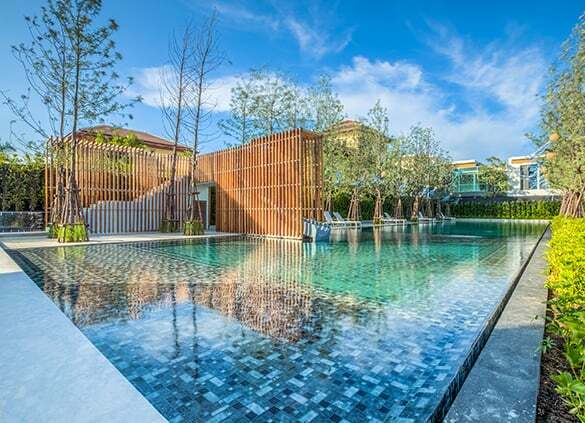 An exclusive beachfront luxury residence set along the Pattaya, Na Jomtien on Pattaya's private beach; close enough to the city's most happening meighbourhoods, yet far enough away to ensure a peachful retreat. Nearby landmarks include famous restaurants, Tesco, the Mimosa mall and Cartoon Network Amazon water park. 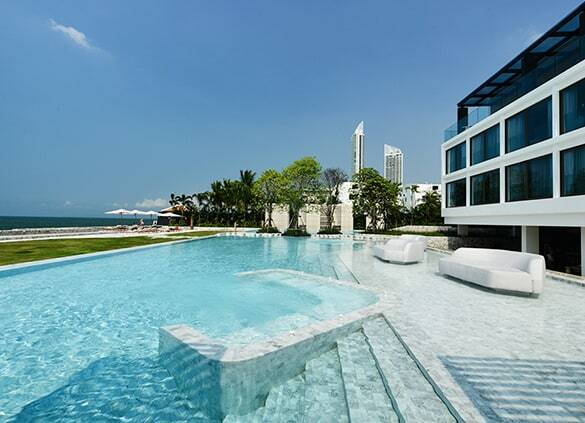 Enjoy stunning ocean views, 5-star facilities, and the services of the Veranda Resort Pattaya. Residence Studio, 2-Bedroom Residence, 3-Bedroom Residence and 3-Bedroom Pool Villa.